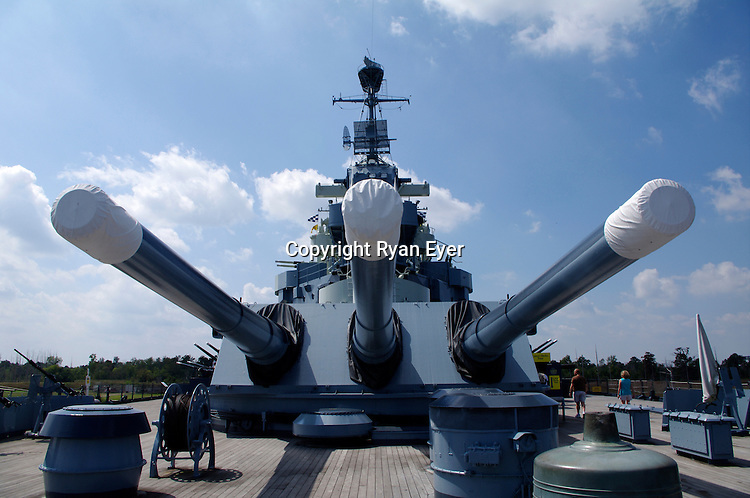 WILMINGTON - 12 September 2010 - The guns of the USS North Carolina, which was the lead ship of her class of battleship and the fourth in the United States Navy to be named in honor of this U.S. state. She was the first new-construction U.S. battleship to enter service during World War II, participating in every major naval offensive in the Pacific theater to become the most decorated U.S. battleship of the war with 15 battle stars. She is now a museum ship at the port of Wilmington, North Carolina. Picture: Ryan Eyer/APP/Allied PIcture Press.